Welcome to Projects of Economica, a series of new and upcoming exhibitions that extend the themes explored in Economica. Young Women Speaking the Economy explores young women's hopes, challenges and ideas at a critical moment for the global economy. 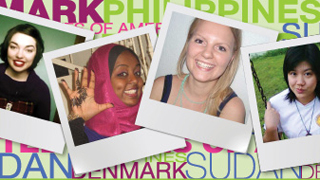 Groups of young women from Denmark, the Philippines, the United States and the Sudan share their perspectives on the economy, careers, well-being and professional life with each other and with the museum's global online audience! 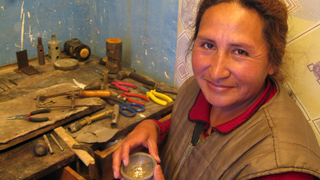 Explore IMOW's Project of Economica, Focusing on Latin America. This vibrant exhibition explores the unique economic challenges and opportunities facing women in Latin American countries, particularly Argentina, Costa Rica and Mexico. We feature the work of regional artists, activists and thinkers and highlight activism opportunities for a global audience. 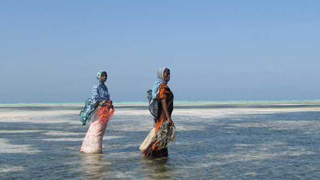 From Joanna Lipper's series for Picturing Power & Potential, "Growth vs. Stagnation: Seaweed Farmers in Zanzibar"